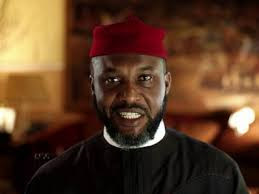 A former minister of aviation, Osita Chidoka, has been suspended indefinitely from the royal council in Obosi, Anambra state. The suspension has ‘stripped’ him of the chieftaincy title, Ike Obosi. He was suspended along others for bringing – to the palace of Igwe Obosi – the corpses of two APGA members killed during the Idemili north & south federal constituency supplementary election between Hon Ibezi and Hon Obinna Chidoka on Saturday, 9th of March. dumped there with instructions to take them to Anambra state governor, Willie Obiano. Also suspended are Chief Linus Mgbakogu (Atta Obosi) and Chief Hyman Udemba (Aka Mposi Obosi). According to Obosi tradition, the Igwe cannot see corpse. And Osita Chidoka being a chief in Obosi knew that bringing those dead bodies to Igwe’s palace is a taboo.